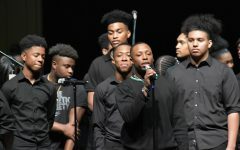 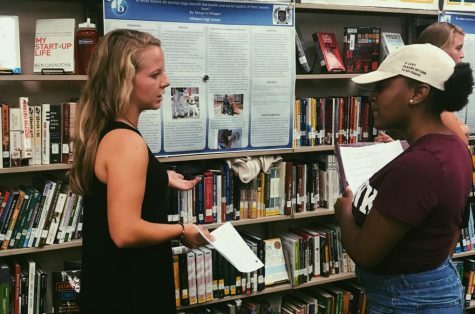 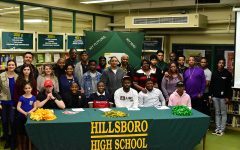 NASHVILLE – In the same tradition as athletic signing events, where athletes publicly accept college offers, Hillsboro High School recently held a signing event Thursday, celebrating its college-bound seniors. 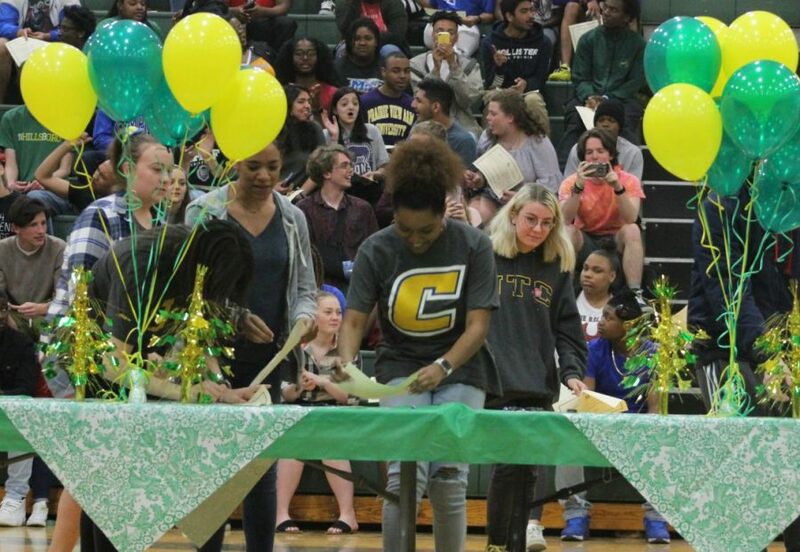 College Signing Day is a tradition held during Senior Week. 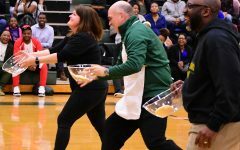 Members of the Hillsboro community gathered in the Burro gym to cheer seniors who chose to formally announce and commit to the college of their choice. 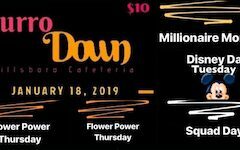 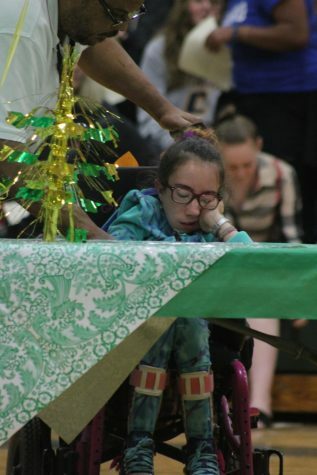 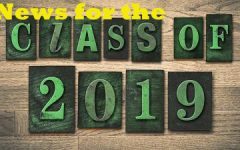 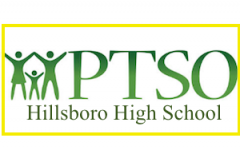 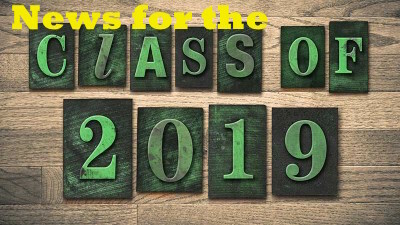 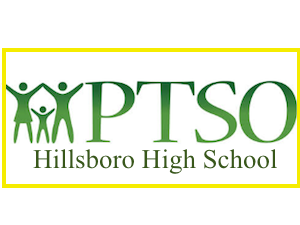 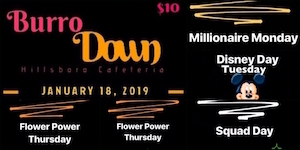 The event, sponsored by Hillsboro’s PTSO, gave seniors an opportunity to share with parents, faculty, and underclassmen their commitment to continue their education beyond the high school level. 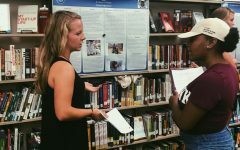 Seniors signed a letter of intent to enroll in one of the following: a four-year university, a two-year community college, a state technical college or a branch of the military.